Music: Andrey Eshpay Lyrics: Grigoriy Pozhenyan 1958. Singer: Evgeniy Kibkalo Performed in 1961г. "Kaganovich leads to great achievements and new victories..."
"V serdtse ya navek sokhranyu iskrennyuyu predannost vam, bratya po sudbe..."
Music: A. Pakhmutova Lyrics: N. Dobronravov 1982. Singer: L. Leshenko Performed in 1982г. "Partiya skazala: Dat stal. I komsomol otvetil: Vse po mestam!.." Music: Gans Eysler (Hanns Eisler) Lyrics: Sergey Tretyakov 1932. "Tovarish master, a pobeda budet? — Obyazatelno budet!" 1984. Singer: Rabochie i veterani Magnitogorskogo metkombinata Performed in 1984г. Music: Ervín Toman Lyrics: Jaroslav Mareš 1943. Military march on the music of the song "Main direction - Prague"
"Makhnyom ne glyadya, kak na fronte govoryat… Tekst naveyan frontovimi vospominaniyami avtora." Music: Veniamin Basner Lyrics: Mikhail Matusovskiy 1967. Singer: Pavel Kravetskiy Performed in 1975г. "Soldatu lishnego imushestva ne nado, makhnyom ne glyadya, kak na fronte govoryat..."
Music: V.Basner Lyrics: M.Matusovskiy 1967. Singer: APP LVO p/u V.Muradyana Performed in 1970г. "Maki, maki, krasnie maki, gorkaya pamyat zemli"
"Malaya zemlya, krovavaya zarya, yarostniy desant, serdets litaya tverd..."
"Malaya zemlya. Krovavaya zarya… Yarostniy desant. Serdets litaya tverd. Malaya zemlya — geroyskaya zemlya, - bratstvo preziravshikh smert." "Malaya zemlya. Krovavaya zarya... Yarostniy desant. Serdets litaya tverd..."
"Risuet uzori moroz na okonnom stekle"
Music: Arkadiy Ostrovskiy Lyrics: Igor Shaferan 1961. Singer: BDKh, sol. Oleg Krotov Performed in 1984г. Music: A.Ostrovskiy Lyrics: I.Shaferan 1961. Singer: Khor Tsentralnogo doma detey zheleznodorozhnikov . khud. ruk. S. Dunaevskiy.orkestr pod upr .Birchanskogo. Performed in 1964г. "Ikh Korchagin vedyot za soboy, im Timur podaril svoi zvyozdi..."
"Milenkaya, malenkaya, chut pobolshe valenka..."
Music: Viktor Beliy Lyrics: Yanka Kupala per.M.Golodnogo 1971. Singer: Solistka Bolshogo detskogo khora T.Aleksandrova Performed in 1971г. "Proletyat, kak ptitsi godi, nam na smenu viydesh ti stroit svetlie zavodi, stroit gordie dvortsi." Music: Z.Kompaneets Lyrics: Ya.Belinskiy 1952. Singer: Zhenya Talanov, Gos. akad. russkiy khor p/u A.Sveshnikova Performed in 1952г. "I za truboy ves polk izraneniy zapel Internatsional"
Music: S. Nikitin Lyrics: S Krilov 1967. Singer: S. Nikitin Performed in 1967г. "V chuzhoy stepi, v trave nekoshenoy Ostalsya malenkiy trubach…"
1966. Singer: R.Ya.Malinovskiy Performed in 1966г. "Prikhotlivie uzori v nebe chertit samolyot, Prikoval k sebe uzori... Lyudi shepchut: Kto pilot?" "Vikladivayu ko Dnyu Velikoy Pobedi." Music: S. Kats Lyrics: M. Plyatskovskiy 1964. Singer: Nina Isakova, estradniy orkestr VRiT p/u V. Starostina Performed in 1964г. "Manka pomnit svoy poselok i gudkov fabrichnikh rech...."
Once this march was as popular, as "Slavanka"
March from the movie "Circus"
Revolutionary song from movie "Bumbarash"
"...Our Komsomol is ready to work and to defend the country..."
"...Mech. Inf. rule all the roads..."
Music: Dmitriy Pokrass Lyrics: Evgeniy Dolmatovskiy. 1957. Singer: Vladimir Bunchikov i Vladimir Nechaev Performed in 1957г. "We were born to make a dream come true..."
Music: Yu.Khayta Lyrics: P.German 1921. Music: Yu. Khayt Lyrics: P. German 1921. "Artillerists, Stalin has given гы order..."
Music: T. Khrennikov Lyrics: V. Gusev 1943. Singer: Mark Reyzen. Orkestr GABT p/u K. Kondrashina. Performed in 1947г. "Artillerists, Motherland has given us order..."
Impressive artillery march. In modern version Stalin's name is excluded from text. "Artillerists, Stalin has given us order..."
Music: T. Khrennikov Lyrics: V. Gusev 1943. Singer: from movie "At 6:00 PM after the war" Performed in 1943г. Music: Agustin Diaz Cartaya Lyrics: Agustin Diaz Cartaya 1960. "March, cubans, happiness of the Motherland will be a reward to you..."
"We are the Red Cavalerists and..."
"We are not on parade today..."
Music: A. Novikov Lyrics: V. Kharitonov 1958. Singer: A. Rozum Performed in 1958г. "With a strong defence we will defeat and destroy the enemy!" This march was introduces in the hardest times of the USSR in 1941, when faschists were storming Moscow. A very good song. Moving march about Soviet BM-13 "Katyusha"
"In any corner of our big planet the enemy will be repulsed!..." "When we'll be given order by Comrade Stalin and Voroshilov will lead us to battle..."
Music: Dm. i Dan. Pokrass Lyrics: B. Laskin 1939. Singer: Pyotr Kirichek Performed in 1939г. "We have everything for happiness, happiness for centuries!" 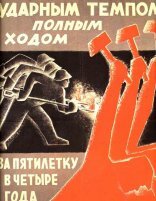 Song of the young builders of Communism from movie "Height"
Music: B. Terentev Lyrics: V. Guryan 1954. Singer: Vladimir Bunchikov i Vladimir Nechaev. Performed in 1954г. March of the XI Int.Brigade that was fighting in Spain in 1936-2938. Music: G. M. Schneerson Lyrics: Ernst Busch 1938. Singer: Ernst Bush Performed in 1938г. "This is a spring of our Motherland..."
Music: S. Tulikov Singer: Otd. Pok. Ork. MO SSSR. Music: A. Tupitsin 1970. Singer: Otd. Pok. Ork. MO SSSR. Music: S. Chernetskiy Singer: orkestr NKO SSSR p/u S.A.Chernetskogo Performed in 1939г. March "Red Army - 25 years"
1974. Singer: Otd. Pok. Ork. MO SSSR Performed in 1974г. Music: S. A. Chernetskiy 1936. Singer: obraztsovo-pokazatelniy orkestr NKO p/u S. Chernetskogo Performed in 1936г. Music: Aleksandra Pakhmutova Lyrics: Nikolay Dobronravov 1963. Singer: Iosif Kobzon Performed in 1963г. "En la lejanía de la selva // Se avista un caballo claro"
Music: Panteon Rococo Lyrics: Panteon Rococo 1999. Singer: Panteon Rococo Performed in 1999г. "Die Hitlers kommen und gehen, das deutsche Volk bestehet (Stalin). Gitleri prikhodyat i ukhodyat, a nemetskiy narod ostaetsya (Stalin)." Music: Gans Eysler (Hanns Eisler) Lyrics: Bertolt Brekht (Bertolt Brecht) 1936. Singer: Ernst Bush (Ernst Busch) Performed in 1949г. "...and Red Banner shines on our mast..."
Music: M. Blanter Lyrics: D. Dolev, Yu. Dantsiger 1936. Singer: L. Utesov Performed in 1938г. Music: A.Kartayya Lyrics: Russk.tekst S.Bolotina i T.Sikorskoy. . 1960. Singer: Ans. pesni i estradniy orkestr Vsesoyuznogo radio. Dirizher A.ndrusenko. Solist Yu.Yakushev. Performed in 1963г. Music: Shopov Lyrics: Pesev 1944. Music: A. Novikov Lyrics: S. Vasilev 1944. Singer: Ans. p/u A. V. Aleksandrova, sol. O. Razumovskiy i Yu. Laut Performed in 1944г. Music: Anatoliy Novikov 1944. Singer: Obraztsovo-pokazatelniy orkestr NKO SSSR p/u S.A.Chernetskogo. Performed in 1944г. "Rodnoy narod boytsov zovet, trubit v pokhod gornist!Za Rodinu, za Stalina - vpered, artillerist!" Music: I. Dunaevskiy Lyrics: S. Mikhalkov 1939. Singer: P.Kirichek i S.Khromchenko Performed in 1939г. "Vse vishe, i vishe i vishe stremim mi polet nashikh ptits"
Music: Yuliy Khayt Lyrics: P. German 1924. Singer: Khorovoy ansambl TsDDZh Performed in 1971г. "Mi rozhdeni, chtob skazku sdelat bilyu..."
Music: Yu.Khayt. Lyrics: P. German 1921. Singer: orkestr E. Shakhmeystera Performed in 1929г. Music: Mikhail Starokadomskiy Lyrics: N. Aleksandrovich 1955. Singer: Detskiy khor g. Kaliningrada Mosk. obl. p/u A. Chmiryova Performed in 1957г. Music: br. Pokrass Lyrics: A. D'Aktil Singer: Ansambl pesni Vsesoyuznogo Radio p/u V.V.Tselikovskogo Performed in 1953г. "Mi - krasnie kavaleristi, I pro nas..."
Music: Dmitriy Pokrass Lyrics: Anatoliy D’Aktil 1920. Singer: Kvartet domr p/upr Berlyavskogo Performed in 1930г. Music: E. Toman, obr. A. V. Aleksandrova Singer: Ansambl imeni A. V. Aleksandrova Performed in 1955г. "Ya vernus tuda, gde v nebe sinem zhdyot menya moya zvezda.No desantnikom v dushe otnine ya ostanus navsegda..."
1976. Singer: V.Obodzinskiy i VIA Ariel. Performed in 1976г. "Nam ne strashni ni ldi, ni oblaka." Music: Isaak Dunaevskiy Lyrics: Anatoliy D'Aktil (Frenkel) 1940. Singer: Bolshoy khor VR Performed in 1972г. "Nam net pregrad ni v more, ni na sushe, nam ne strashni ni ldi, ni oblaka..."
"Nam net pregrad ni v more, ni na sushe, / Nam ne strashni ni ldi, ni oblaka!" Music: I.Dunaevskiy Lyrics: A. D Aktil 1940. Singer: I.Arkhipova, Akad. Bolshoy Khor, khudozh ruk. K. Ptitsa, BSO TsT i VR, dir. V.Fedoseev Performed in 1975г. Music: Isaak Dunaevskiy Lyrics: Vasiliy Lebedev-Kumach 1940. Singer: Orkestr Berlinskogo radio p/u Yurgena Germanna (GDR) Performed in 1968г. "...Nam net pregrad ni v more ni na sushe.."
Music: I.Dunaevskiy Lyrics: A. D Aktil 1940. "Nam net pregrad ni v more, ni na sushe... Vorwärts, und frisch gesungen..."
Music: I.Dunaevskiy (Isaak Dunajewski) Lyrics: A. D Aktil (D Aktily), dt. : W. Claussnitzer 1940. Singer: Khor GDR, Dirigenten (dirizher): Friedrich Krell Performed in 1984г. Music: M. Blanter Lyrics: M. Volpin 1951. Music: Novikov Lyrics: Oshanin 1950. Singer: Dukhovoy orkestr pod.upr. V.Sherbinina Performed in 1969г. Music: Novikov Lyrics: Oshanin 1950. Performed in 1969г. "Rannim utrom v 45-m zavershiv Pobedoy trudnuyu voynu"
Music: S. Chernetskiy 1944. Singer: Orkestr NKO SSSR p/u S.A.Chernetskogo. Performed in 1944г. Music: V.Solovev-Sedoy 1947. Singer: Estradniy orkestr VR. Dirizher V.N.Knushevitskiy. Performed in 1947г. Music: V.Dashkevich 1980. Singer: Instrumentalniy ansambl I.Klyuchareva Performed in 1980г. "Mnogo gorya mi vidali v zhizni svoey , druzya....."
Music: Anatoliy Svechnikov Lyrics: Sergey Vasilev 1955. Performed in 1955г. Music: B. Zeydman Lyrics: L. Zeltsman 1943. Performed in 1943г. Marsh iz kinofilma Vremya, vperyod! Music: A. Novikov Singer: I. Shmelyov i orkestr VRK p.u. V. Knushevitskogo Performed in 1949г. "Lish bespokoyniy i nastoychiviy, otvazhniy, chestniy i nakhodchiviy idet v militsiyu sluzhit... V grudi u nas — ogon Dzerzhinskogo, a v serdtse — plamya Oktyabrya!" Music: N. Golosov Lyrics: Yu. Nikotin 1975. Singer: Lev Polosin i Boris Kuznetsov Performed in 1975г. Music: Georgiy Nosov Lyrics: E.Gvozdev Singer: APP ChF SSSR. Music: A.Novikov Lyrics: V.Kharitonov 1950. Singer: Georgiy Vinogradov Performed in 1951г. Music: M. Fradkin Lyrics: M. Matusovskiy 1955. Singer: KrAPP SA Performed in 1955г. Music: Karen Khachaturyan Singer: Obraztsovo-pokazatelniy orkestr Komendaturi Moskovskogo Kremlya p/u V. Ivanova Performed in 1976г. Music: V. Gomolyaka , Ya. Tseglyar Lyrics: E. Dolmatovskiy , O. Novitskiy 1947. Singer: ? Performed in 1947г. Music: Vasiliy Solovyov-Sedoy. Lyrics: Solomon Fogelson. 1960. Singer: Aleksandrovich, Kopilov, Matuso Performed in 1960г. Music: Kirill Molchanov Lyrics: Mark Sadovskiy Singer: detskiy khor Performed in 1970г. Music: Pavel Aedonitskiy. Lyrics: Leonid Kukso. 1960. Singer: Lev Polosin i Boris Kuznetsov. Music: Vasiliy Solovev-Sedoy Lyrics: Nikolay Gleyzarov 1949. Singer: Khor malchikov Leninigradskogo khorovogo uchilisha, ork. Len.rad., dir. A. Vladimirtsov Performed in 1957г. "V mire net drugoy Rodini takoy!" "Postoit za mir i za sovetskiy narod - clavniy, moguchiy Flot!" Music: V.Solovyov-Sedoy Lyrics: N.Gleyzarov 1947. Singer: Khor malchikov Performed in 1949г. "Prostor goluboy, zemlya za kormoy..."
Music: V.Solovyov-Sedoy Lyrics: N.Gleyzarov 1949. Singer: Molodyozhniy khor Yunost TsDKZh p.u. T.N.Ovchinnikovoy, v sopr. f-no Performed in 1969г. "S togo zhe vechera. Solist sprava tot zhe, chto i v predidushey pesne"
Music: V.Solovev - Sedoy Lyrics: N. Gleyzarov 1949. Singer: khor malchikov MGKhU p/u V.Popova, solisti - Sasha Yudenkov (zapevaet) i Igor Danilov Performed in 1982г. "Solnishko svetit yasnoe, / Zdravstvuy, strana prnekrasnaya!" Music: V.Solovev-Sedoy Lyrics: N.Gleyzarov 1949. Singer: Det. khor p/u A.Chmireva, Ork p/u B.Shermana Performed in 1951г. "... Pred Baku pokorno lyog Kaspiy pobezhdyonniy!.." Music: Kara Karaev Lyrics: Mikhail Svetlov 1953. Singer: Rashid Beybutov i khor VR Performed in 1953г. "... S pesney krilatoy shagayut rebyata! Eto strani trudovoy oktyabryata!..." Music: S. Dyoshkin Lyrics: A. Zharov 1922. 1968. Singer: I.Bim i V.Grigoreva Performed in 1968г. "... Pod znamenem otecheskim shagayut molodie sinovya..."
"Vsegda gotovi k boyu, vraga ne poshadim! Rabotayte spokoyno, lyubimie vozhdi!..." Music: L. Shvarts (instr. D.Dorman) Lyrics: L. Somakh i S. Bolotin 1938. Singer: Ar-ti GABT SSSR A.A.Volnov i V.F.Lapin. Khor GABT SSSR i dzhaz-ork. p/u B.B.Renskogo Performed in 1938г. "Rodinu svoyu otstoim mi v boyu, nas k pobede i miru vedut vozhdi!" Music: G. Eysler Lyrics: S. Bolotin i T. Sikorskaya 1938. Singer: art. VRK V.P.Zakharov, G.B.Orentlikher (f-no) Performed in 1938г. Music: Nikolay Pavlovich Ivanov-Radkevich Singer: Dukhovoy orkestr dirizher I.Petrov Performed in 1962г. Music: V. Gavrilchenko 1976. Singer: Orkestr komendaturi Moskovskogo Kremlya Performed in 1976г. Music: T. Khrennikov Lyrics: E. Dolmatovskiy 1951. Singer: KAPPSA, solist V. Bicheev. Dirizher B. A. Aleksandrov. Performed in 1951г. Music: Br. Pokrass Lyrics: B.Laskin 1939. Singer: iz k/f Traktoristi Performed in 1939г. Music: Br. Pokrass Lyrics: B.Laskin 1939. Singer: iz k/f Traktoristi Performed in 1964г. Music: N. Ivanov-Radkevich 1951. Singer: Dukhovoy ork. Voennogo Ministerstva SSSR p/u I. Mironovicha, Performed in 1951г. Music: Dmitriy Shostakovich 1971. Singer: Orkestr TsT i VR «Goluboy ekran» p/u Borisa Karamisheva Performed in 1971г. Music: S. Tulikov Lyrics: E. Dolmatovskiy 1951. Singer: Leonid Kostritsa Performed in 1951г. "Mi zhivem pod solntsem zolotim, druzhno zhivem... Goldne Sonne hält die Welt umspannt..."
Music: S. Tulikov (Serafim Tulikow) Lyrics: E. Dolmatovskiy (Jewgeni Dolmatowski), dt. : Kuba 1951. Singer: Khor GDR, Dirigenten (dirizher): Friedrich Krell Performed in 1985г. Music: Serafim Tulikov Lyrics: Evgeniy Dolmatovskiy 1951. Singer: Vladimir Bunchikov i khor Performed in 1951г. Music: D. Pokrass Singer: Dzhaz-orkestr Leningradskogo Radiokomiteta i muzhsk. Vokal. ans. MVD Len. okr. Music: Yuliy Khayt Lyrics: P. German 1921. Singer: Khor i orkestr GABT p/u B. Khaykina. Performed in 1937г. Music: V. Furman Singer: Otdelniy pokazatelniy orkestr Ministerstva oboroni SSSR, dir. N.P.Sergeev Performed in 1975г. "Pomnim tvyordo mi suvorovskiy zavet: Bez truda i uchenya - net pobed!" Music: Vladimir Maklakov Lyrics: Nikolay Gleyzarov 1953. Singer: saundtrek Performed in 1953г. Music: E. Zharkovskiy Lyrics: A. Aleksin i E. Zharkovskiy 1950. Singer: Khor malchikov Gos. khor. uch. pod upr. A. V. Sveshnikova i instr. ansambl Performed in 1950г. Music: M. Blanter Lyrics: V. Timofeev 1937. Singer: V. Politkovskiy, khor i ork. GABT p/u E. Senkevich. Performed in 1938г. Music: Dm. i Dan. Pokrass Lyrics: B. Laskin 1939. Singer: akteri kino Performed in 1939г. Pust znaet ves mir - sovetskie tankisti umeyut povsyudu zhestoko bit vraga!.. Music: Dm. i Dan. Pokrass Lyrics: Boris Laskin 1939. Singer: Nikolay Kryuchkov i khor Performed in 1939г. "Oy vi koni, vi koni stalnie, boevie druzya traktora..."
Music: I. Dunaevskiy Lyrics: V.Lebedev- Kumach 1938. Music: Nikolay Ivanov-Radkevich Singer: Obraztsoviy orkestr Akademii RKKA im. Frunze p/u V. Gurfinkelya. Performed in 1935г. Music: S. Chernetskiy 1946. Singer: orkestr MO SSSR p/u S.A.Chernetskogo. Performed in 1946г. Music: M. Blanter Lyrics: M. Isakovskiy i A. Surkov 1947. Singer: G. P. Vinogradov i I. M. Skobtsov. Khor i ork. pod upr. V. N. Knushevitskogo Performed in 1950г. "... Glyadit burzhuy na russkiy dom, grozit nam novim grabezhom, no ugol nash i stal ego zalyut rekoy, zalyu rasplavlennoy rekoy!..." Music: G. Salnikov 1959. Singer: OPO MO SSSR Performed in 1975г. Music: I.Dunaevskiy Lyrics: V.Lebedev-Kumach 1938. Singer: Lyudmila Zikina Performed in 1968г. Music: I.Dunaevskiy Lyrics: V.Lebedev-Kumach 1934. Singer: E.B.Flaks i ansambl TsDKZh Performed in 1938г. Music: I. Dunaevskiy Lyrics: V. Lebedev-Kumach 1934. Singer: Ansambl p/u A. V. Aleksandrova. Performed in 1935г. "Legko na serdtse ot pesni veseloy, ona skuchat ne daet nikogda,..."
"Legko na serdtse ot pesni veseloy ..."
Music: I. Dunaevskiy Lyrics: V. Lebedev-Kumach 1934. Singer: L. Utesov Performed in 1934г. Music: I. Dunaevskiy Lyrics: V.Lebedev-Kumach 1934. "Legko na serdtse ot pesni veseloy..."
Music: I. Dunaevskiy Lyrics: V. Lebedev-Kumach 1934. Singer: E. Nesterenko i khor Performed in 1987г. "Nam pesnya stroit i zhit pomogaet..."
Music: I. Dunaevskiy Lyrics: V. Lebedev-Kumach 1934. Singer: Leonid Utesov i gos. estr. orkestr RSFSR pod upr. L. Utesova Performed in 1954г. "Na nash narod trudovoy i vesyoliy napala chyornikh zlodeev orda..."
Music: I. Dunaevskiy Lyrics: V.Lebedev-Kumach 1941. Singer: L. Orlova Performed in 1941г. Music: I. Dunaevskiy Lyrics: V. Sayanov (Mikhlin) 1935. Singer: Yu. Yakushev Performed in 1939г. Music: S.Chernetskiy 1945. Singer: Obraztsoviy voenniy ork. Pochetnogo karaula Performed in 1977г. "Na zemle i v podvodnikh otsekakh - vsyudu nashi izdeliya est..."
"... Vse, kto molod, s nami v put! Chtob podstavit solntsu grud, vetra derzkogo khlebnut - v put!" Music: S.Deshkin Lyrics: A.Zharov 1922. Singer: Bolshoy detskiy khor Gosteleradio SSSR. "Ot gor sedikh Altaya do sten Kremlya moguchaya, bolshaya tsvetyot rodnaya zemlya." "Mi yunnati, mi schastlivie rebyata nashey solnechnoy strani!" Music: Isaak Dunaevskiy Lyrics: Mikhail Matusovskiy 1953. Singer: BDKh, sol. O.Belova,E.Tarnavskaya,O.Kasyanov,V.Nikolaev. Performed in 1975г. "Tak shagat po zemle i uchitsya - do chego interesno, druzya!" Music: Isaak Dunaevskiy Lyrics: Mikhail Matusovskiy 1954. Singer: Detskiy khor i ork. Len.TV p/u Yu.Slavnitskogo Performed in 1978г. "Mi viroem nemtsu mogilu v tumannikh polyakh pod Moskvoy"
Music: B. Mokrousov Lyrics: A. Surkov 1942. Performed in 1942г. Music: B. Mokrousov Lyrics: A. Surkov 1942. Singer: Otd.Pok. ork. MO SSSR Performed in 1986г. "Pust v strakhe drozhit lyutiy mir gospod"
Music: V. Shepelev 1983. Singer: Obr. Pok. Ork. MO SSSR. Music: S. Chernetskiy 1940. Singer: Orkestr NKO p/u S.A.Chernetskogo Performed in 1941г. Music: M.Blanter Lyrics: I. Selvinskiy 1958. Singer: KAPPSA, sol. I. Didenko, A. Kusleev Performed in 1958г. "Sovetskie lyudi pronzyat podnebese i novikh dobyutsya pobed!..." Music: S.Chernetskiy 1948. Singer: V.Zakharov i G.Vinogradov, oktet Kr.Ans. i ork. VRK p/u Knushevitskogo Performed in 1948г. "Dezhurnoe zveno vzletaet, kak snaryad, to lyotchiki otvazhnie idut na perekhvat!" Music: A. Dolukhanyan Lyrics: M. Andronov Singer: Ans. pesni i plyaski MO PVO Performed in 1960г. "For the glory of the Red Army, forward!" Music: V. Muradeli Lyrics: A. Gatov 1938. Singer: Ansambl Krasnoarmeyskoy pesni i plyaski LDKA p/u A. Anisimova. Performed in 1938г. "On - stalinskoy stai moguchiy oryol!" "Artilleristi pochti vse pogibli, no tanki ne proshli ..."
1975. Singer: Marshal artillerii Kazakov, Performed in 1975г. "...vot tolko b ne predat Rossiyu, vot tolko b ne otdat Moskvi..."
Music: Kurt Grayner-Pol Lyrics: Ervin Burkert 1958. Singer: Khor Performed in 1958г. "V samiy vikhr vrazhego nalyota polechu ya s pikoy na vesu!" Music: I. Dunaevskiy Lyrics: T. Sikorskaya 1938. Singer: art. VRK V.P.Zakharov, G.B.Orentlikher (f-no) Performed in 1938г. Music: neizv. Lyrics: neizv. 1943. Singer: Petros Pandis Performed in 1974г. Music: V. Gomolyaka , I. Shamo Lyrics: B. Paliychuk 1954. Singer: ? Performed in 1954г. "Iz dalnikh vod i samikh dalnikh stran korabl domoy idet,matros na vakhte tikho pod bayan o rodine poet"
Music: Machavariani A. Lyrics: Serebryakov V. 1958. Singer: Igor Vladimirov Performed in 1958г. "Oy vi nochi,matrosskie nochi,tolko more da nebo vokrug." Music: S.Solovyov-Sedoy Lyrics: S.Fogelson 1947. Singer: Mariya Pakhomenko Performed in 1970г. "Nasha russkaya, likhaya plyaska khorosha, v ney sovetskaya rodnaya shir, dusha"
Music: Arkadiy Ostrovskiy Lyrics: Lev Oshanin / T.Botting (T. Botting) 1962. Singer: Tamara Miansarova, Iosif Kobzon, Misha Botov, khor TsDDZh Performed in 1962г. "...spring of 1945, Danube waits you for a long time..."
"Ochen mozhet prosto kazhdiy s puley vstretitsya odnazhdi"
Music: A. Eshpay Lyrics: L.Derbenev 1967. Singer: V.Troshin Performed in 1967г. Music: Dm. i Dan. Pokrass 1937. Singer: Egorova i Shteyman (duet ksilof. ), Shraybman (f-no) Performed in 1950г. Music: V. Kruchinin Lyrics: V. Zakharov Singer: Oktet Krasnoznam. ans. SSSR. Ork. VRK p. u. V. Knushevitskogo Performed in 1948г. "Mayskiy den sorok pyatogo goda vspominat mi ne mozhem bez slyoz..."
Music: Serafim Tulikov Lyrics: Mikhail Plyatskovskiy Singer: KrAPP SA, solist Boris Zhayvoronok Performed in 1986г. Music: Apostol Simoni Lyrics: E. Lame 1983. Singer: Liljana Kondakci Performed in 1983г. Music: V. Loktev Lyrics: O. Visotskaya 1963. Singer: Ansambl im. V. Lokteva Performed in 1970г. "Mi krasnie galstuki zvyozdam povyazhem i solntsu salyut otdadim!" Music: V.Loktev Lyrics: O.Visotskaya 1963. Singer: Gruppa solistov ans.im. V. Lokteva Performed in 1963г. One more song from movie "6 o clock after the war "
Music: T. Khrennikov Lyrics: V. Gusev 1944. Singer: Ladinina Marina i Samoylov Performed in 1944г. "What if i would meet Stalin ..."
Music: A. Aleksandrov Lyrics: P. German 1940. Singer: APP KA p/u A. Aleksandrova, solist V. I. Nikitin Performed in 1941г. Music: E. Kolmanovskiy Lyrics: E. Evtushenko 1962. "Iz k-f Tam, gde konchaetsya asfalt"
"Ne strashni tebe ni dozhd, ni slyakot, rezkiy povorot i kosogor, chtobi ne prishlos lyubimoy plakat — krepche za baranku derzhis, shofyor!" Music: Klaudio Santoro, obrabotka Viktora Shepochkina 1956. Singer: Instrumentalniy kvartet Performed in 1962г. Music: A. Pakhmutova 1958. Performed in 1958г. "...I'll clear all land from mines..."
"Pust mne shtormom grozyat okeani, ya proydu skvoz grozu i tumani..."
Music: E. Rozner Lyrics: Yu. Tseytlin 1946. Singer: Yuriy Khochinskiy v sopr. dzhaz-orkestra Lenradiokomiteta pod upr. N. Minkha Performed in 1946г. "Smert za smert! Krov za krov! Bey vraga u vorot Leningrada! Smert za smert! Krov za krov! Bey fashistov, moryak, do kontsa!.." Music: B. Golts Lyrics: V. Volzhenin 1942. Singer: Tsentralniy ansambl krasnoflotskoy pesni i plyaski VMF SSSR p/u L. S. Yukhnina. Performed in 1942г. Smert za smert! Krov za krov! Bey vraga u vorot Leningrada! Smert za smert! Krov za krov! Bey fashistov, moryak, do kontsa!.. Music: B. Golts Lyrics: V. Volzhenin 1942. "... I lesa pomnyat bryanskie pro kostri partizanskie..."
Music: M. Blanter Lyrics: M.Isakovskiy 1949. Singer: M. Aleksandrovich Performed in 1956г. "Ne grusti po mne, raskrasavitsa, iz pokhoda zhdi, zhdi chapaevtsa. Razobyom vraga, zlogo Kolchaka, i k tebe vernus ya izdaleka!" "Mezhdu nami resheno, resheno! Prozhivem let dvesti mi. Pust prokhodyat godi, no! No povsyudu vmeste mi!" Music: M. Matusovskiy Lyrics: K. Molchanov 1959. Singer: Yu. Belov, A. Kozhevnikov i N.Rumyantseva Performed in 1959г. "Svyashennie slova - Moskva za nami! - mi pomnim so vremyon Borodina"
Music: G. Movseyan Lyrics: R. Rozhdestvenskiy 1975. Singer: KAPPSA Performed in 1980г. "V ispolennie orkestra, vzyat iz yutuba"
Music: G. Movsesyan 70. Singer: Orkestr VMF SSSR Performed in 70г. "Svyashennie slova - Moskva za nami! - mi pomnim so vremyon Borodina." Music: G. Movsesyan Lyrics: R. Rozhdestvenskiy 1975. Singer: Ansambl imeni A.V. Aleksandrova, solisti S. Ivanov i P. Bogachyov Performed in 1983г. Music: S. Tulikov Lyrics: P. Gradov 1958. "... Mi, kommunisti, pravdoy silni svoey! Tsel nashey zhizni - schaste prostikh lyudey!..." Music: Serafim Tulikov Lyrics: Petr Gradov 1958. Singer: Aleksandr Voroshilo Performed in 1959г. Singer: KAPPSA Performed in 1970г. "Mi svetliy put kuem narodu, mi schaste Rodine kuem..."
Music: Boris Terentev Lyrics: Aleksandr Zharov 1956. Singer: Vladimir Bunchikov s orkestrom VR p/u V.N.Knushevitskogo Performed in 1957г. "Vechno radostno, vechno molodo nam kremlevskaya svetit zvezda. Pioneriya - Komsomoliya, mi nerazluchni vsegda!" "Ti vechno, molodo, Dinamo, ti pamyat davney yunosti ottsov!" Music: A. Zlobin Lyrics: A. Anufriev 1976. Singer: Anatoliy Strogalev Performed in 1976г. "Vikhodyat v more smelie rebyata-moryaki..."
Music: N.Chemberdzhi Lyrics: S.Ostrovoy 1941. Singer: Vokalniy ans. i ork. otdela detskogo veshaniya VRK p/u B.S.Shermana. Khormeyster: I.Kuvikin Performed in 1941г. "Belim porokhom vzorvyom mi fashistov chyorniy dom..."
Music: G. Popov, V. Velikanov Lyrics: V. Lugovskoy 1942. Singer: iz k/f Tebe, front. Performed in 1942г. "V posledniy raz voydyom v nash klass pustoy i tyomniy"
Music: P.Aedonitskiy Lyrics: N.Olev Singer: Irina Brzhevskaya, Lev Barashkov Performed in 1965г. Music: Anatoliy Lepin Lyrics: Aleksey Diterikhs 1973. Singer: Anatoliy Lepin Performed in 1973г. "Mi kommunisti - partii soldati, idem na trud i podvig boevoy"
"Nad nami zvyozdi svetlie zazhgutsya v vishine. Mi krasniy flag podnimem na Marse i Lune." 1970. Singer: Ml. gr. detskogo khora Performed in 1970г. Music: Boris Mokrousov Lyrics: Aleksey Fatyanov 1949. Singer: Vyacheslav Godunov,Yuriy Elnikov Performed in 1975г. "Pioneri idut tverdo po Leninskomu puti..."
Music: A.Pakhmutova Lyrics: S.Grebennikov 1973. Singer: Bolshoy detskiy khor Gosteleradio SSSR. Music: Yu.Chichkov Lyrics: K.Ibryaev 1975. Singer: BDKh Performed in 1975г. "Mi sovetskie volnie deti - pioneri velikoy strani. Nashi pesni svobodni, kak veter. Nashi pesni povsyudu slishni." Music: A.Arutyunyan i A.Khudoyan Lyrics: N.Naydenova Singer: Khor MGDP Performed in 1955г. Music: Platon Mayboroda Lyrics: Andrey Malishko 1957. Singer: M.Fokin, S.Kozak, khor Ukrradio Performed in 1960г. Music: Mikhail Iordanskiy Lyrics: Sergey Mikhalkov 1940. Singer: Khor TsDDZh p/u S.Dunaevskogo Performed in 1940г. Music: Gennadiy Gladkov Lyrics: Mikhail Plyatskovskiy 1970. Performed in 1970г. "Nashu zhizn i krov otdadim mi na zashitu Ispanii rodnoy!" Music: V. Kochetov Lyrics: T. Sikorskaya 1937. Singer: B. Deyneka, khor i ork. VRK p/u A. Orlova Performed in 1937г. Music: Platon Mayboroda Lyrics: Andrey Malishko 1957. Singer: Yuliya Apolkova Performed in 1954г. "Mi mechtaem stat geroyami, Bit uchyonimi khotim. Goroda v tayge postroim mi I do neba doletim." ".... I sobrat zolotoy urozhay dlya strani pioneri pomoch dolzhni!..." "Vmeste s mamoy utrom rannim mi vikhodim iz vorot: na uchene v klass pora mne, nu, a mame — na zavod"
Music: R. Boyko Lyrics: Yu. Ostrovskiy 1961. Singer: Solistka Detskogo khora IKhV Zhenya Dombrovskaya, Instr. ans. p/u A. Birchanskogo Performed in 1961г. "Esli nuzhno - znachit nuzhno, pust nad golovoy letyat goda"
Music: D. Tukhmanov Lyrics: R. Rozhdestvenskiy 1985. Singer: Oleg Ukhnalyov v sopr. Simfonicheskogo orkestra Goskino SSSR Performed in 1985г. "Nasha klyatva krepka - ni na shag ot stanka!....Stalin pomnit o nas,Stalin dal nam nakaz-bolshe tankov,mashin i metalla!" Music: S. Pototskiy Lyrics: P. German 1943. Performed in 1943г. Music: K.Dankevich Lyrics: V.Lebedev-Kumach 1938. Performed in 1938г. "...Net vershin, do kakikh mi ne smozhem podnyatsya." Music: A. Morozov Lyrics: V. Gin 1977. Singer: KrAPPSA, solist B. Zhayvoronok Performed in 1977г. Music: A.Morozov Lyrics: V.Gin Singer: Eduard Khil. Instr.ansambl Kamerton. p.u. Yu.Reytmana. "I nam ne vsyo ravno, kuda letet raketam, i nam ne vsyo ravno, gde bitva nachalas. I verit molodim ustalaya planeta — mi tozhe Sovetskaya vlast!" Music: A. Pakhmutova Lyrics: N. Dobronravov 1972. Singer: Khorovoy kollektiv Vecherney shkoli obshego muzikalnogo obrazovaniya № 67. Khudozhestvenniy rukovoditel T.E. Eksler Performed in 1976г. "Mi v kolkhoze bogateem s kazhdim dnem"
Music: narodnaya 1948. Singer: Khor Russkoy Narodnoy pesni V. R. K. khud. ruk. A. V. Rudneva, zapevaet Z. Kazakova Performed in 1948г. Music: Yu. Khayt Lyrics: V. Lebedev-Kumach 1939. Singer: Georgiy Vinogradov. Performed in 1939г. "Mi v svoey strane sovetov tochno solnishkom sogreti - Stalinim rodnim"
1948. Singer: Khor Russkoy Narodnoy pesni V. R. K. khud. ruk. A. V. Rudneva, zapevaet A. Cherkinskaya Performed in 1948г. Mi verim v pobedu ! Mi virvem pobedu ! Music: R. Glier Lyrics: V. Lebedev-Kumach 1939. Performed in 1939г. "Mi verni pionerskomu znameni-eto znamya vruchil nam narod..."
"Mi veselie rebyata - mi rebyata oktyabryata , tak nazvali nas nezrya - v chest pobedi oktyabrya..."
Music: M.Raukhverger Lyrics: O.Visotskaya Singer: Mladshaya gruppa Bolshogo detskogo khora Gosteleradio SSSR. Performed in 1972г. "Ot granitsi mi Zemlyu verteli nazad - bilo delo snachala, - no obratno eyo zakrutil nash kombat"
Music: V.Visotskiy Lyrics: V.Visotskiy 1972. Singer: V.Visotskiy Performed in 1972г. Music: K. Massalitinov Lyrics: A. Salnikov 1954. Singer: Voronezhskiy russkiy nar. khor, Performed in 1954г. "Mi pioneriya, mi lenintsi, i zhizn nas zovyot! Mudraya Partiya vedyot nas vperyod! Pesni zadornie povsyudu slishni! Mi pioneriya, mi yunost strani!" Music: S. Agababov Lyrics: Yu. Polukhin 1958. Singer: Khorovoy kollektiv Vecherney shkoli obshego muzikalnogo obrazovaniya № 67. Khudozhestvenniy rukovoditel T.E. Eksler Performed in 1976г. "...i pesnyu etu ponesyom, druzya, po svetu!.." Music: S. Tulikov Lyrics: A. Zharov 1947. Singer: KrAPPSA, solist Oleg Razumovskiy. Performed in 1951г. Music: S. Tulikov Lyrics: A. Zharov 1947. Music: A. Novikov Lyrics: L. Oshanin 1950. Singer: Pyotr Kirichek. Performed in 1951г. Music: F.Kozitskiy Lyrics: V.Sosyura 1939. Performed in 1939г. "Na grudi u oktyabryat- zvezdochki goryat !" Music: Yu.Chichkov Lyrics: P.Sinyavskiy Singer: Bolshoy detskiy khor Gosteleradio SSSR. Performed in 1978г. Music: A. Flyarkovskiy Lyrics: R. Rozhdestvenskiy 1971. Singer: Vladimir Makarov Performed in 1971г. "On ne kurskiy, vsem izvestniy, ne zhivyot sredi vetvey..."
Music: A. Tsibizov Lyrics: M. Trutnev 1976. Singer: Lev Polosin i Boris Kuznetsov, Ansambl Melodiya p/u G. Garanyana Performed in 1976г. "Otgremela groza nad zemlyoyu, otsvistela zhestokim svintsom, tolko mi ne vikhodim iz boya — kto sluzhil, ostayotsya boytsom!" Music: R. Manukov Lyrics: B. Vakhnyuk 1976. Singer: L. Smetannikov, ansambl Melodiya p/u G. Garanyana Performed in 1976г. "Segodnya v nebe stalo tesno — poryadok nuzhen v oblakakh"
Music: B. Terentev Lyrics: V. Sergeev Singer: E. Labkovskiy, oktet Krasnoznamennogo ansamblya, instr. ans. «Melodiya» p/u G. Garanyana Performed in 1976г. 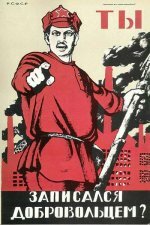 "When war came to our wide lands..."
Before the war Donbass provided coal for all Soviet Union. In 1942 fascists had to deliver coal to Donbass from Germany to run their trains. That's work of partisans. 1968. Singer: Vera Enyutina i Yuriy Levitan Performed in 1968г. 1972. Singer: Sergo Ordzhenikidze , Aleksey Stakhanov i raporti soldat devyatoy pyatiletki. Performed in 1972г. "Kak ni stranno, v dni voyni est minuti tishini.."
Music: Andrey Petrov Lyrics: Mikhail Matusovskiy 1985. Singer: Nikolay Karachentsov Performed in 1985г. "Pust budet schastliv tot, kto na zare vstaet..."
"Mi prokhodim s toboy nad usnuvshey rekoyu. Nad shirokoyu Visloy khorosho nam vdvoem." Music: E. Olearchik Lyrics: Genrik Gavorskiy, per. Yakov Belinskiy. 1956. Singer: V. Otdelenov Performed in 1956г. Music: Edvard Olearchik Lyrics: G.Gavorskiy 1952. Singer: Bernard Ladish Performed in 1952г. "...you re Odessit so you are not afraid of any trouble..."
Lyrics: M.I.Ulyanova Singer: V.P.Maretskaya Performed in 1973г. "Kak budto po stupenkam, vsyo vishe i vperyod..."
"Mne chto-to ne snitsya voyna na voyne..."
Music: Evgeniy Stankovich Lyrics: Boris Vakhnyuk 1985. Performed in 1985г. Music: Veniamin Basner Lyrics: Mikhail Matusovskiy 1974. Performed in 1974г. "I love my factory and i'm proud to be a worker..."
"...I eto nikogda ne mozhet pozabitsya"
Music: Nikita Bogoslovskiy Lyrics: Mikhail Matusovskiy 1975. Singer: Iosif Kobzon Performed in 1976г. "Otsifrovano s patefonnoy plastinki v samom istoricheski tochnom smisle etogo ponyatiya (apparatura zvukozapisi-zvukovosproizvedeniya firmi Pate: modulyatsiya kanavki - GLUBINNAYa)"
Music: Ilya Shatrov 1905. Singer: Orkestr firmi Pate Performed in 1911г. Music: Sh. Aranov Lyrics: L. Kornyanu 1950. Singer: V. Kokots. Orkestr ans. nar. tantsa Moldavskoy SSR p/u Sh. Aranova. Performed in 1950г. 1920. Singer: ork. p/u S. Korta Performed in 1920г. Music: B. Shekhter Lyrics: S. Tretyakov 1929. Singer: Khor VRK p/u A. Sveshnikova Performed in 1934г. "Takogo ispolneniya vrode bi eshyo ne bilo na sayte. 1950-e gg." Lyrics: A. Bezimenskiy Singer: khor i simf. orkestr VR Performed in 1950г. "Delo zemli - vertetsya. Litsya - delo vod. Delo molodikh gvardeytsev - beg, galop vperyod"
Music: Kurt Greyner-Pol Lyrics: Vladimir Mayakovskiy (per. na nem. Khugo Khuppert) 1923. Singer: Chor und Orchester des Erich-Weinert-Ensembles. Dirigent: Siegfried Enders Performed in 1970г. Music: A. Lifshits Lyrics: F. Kanatov 1943. Singer: Georgiy Vinogradov V. Zakharov Performed in 1943г. "Molodi mi i stoyki-nam ne stoyat v teni,vidish na kazhdoy stroyke nashi goryat ogni..."
Music: A.Ostrovskiy Lyrics: A.Dostal 1964. Singer: Khor Tsentralnogo doma detey zheleznodorozhnikov . khud. ruk. S. Dunaevskiy.orkestr pod upr .Birchanskogo. Performed in 1964г. Music: B.Terentev Lyrics: M. Ruderman 1950. Singer: D.V.Demyanov, AP VRK Performed in 1950г. Music: Konstantin Listov Lyrics: Tsezar Solodar 1938. "Vetsya dimka zolotaya pridorozhnaya... "
Music: I.Dunaevskiy Lyrics: V.Lebedev-Kumach 1937. Music: D.Lvov-Kompaneets, 1954. Performed in 1954г. Music: Mikhail Starokadomskiy Lyrics: Olga Visotskaya 1952. Singer: Khor TsDDZh p/u S. Dunaevskogo, f-no M. Starokadomskiy. Performed in 1952г. Music: M. Starokadomskiy Lyrics: O. Visotskaya 1952. Singer: Detskiy khor TsDDZh p/u S.O.Dunaevskogo, f-no M. Starokadomskiy Performed in 1952г. "Davay spoem, ey, zapevala Ppo otchiy dom pro nezhniy vzglyad, Khoroshikh pesen est nemalo, Soldat bez pesni - ne soldat"
Music: V. Dobrinin Lyrics: V. Akimov 1982. Singer: VIA Akvareli Performed in 1982г. "Stroyat,stroyat ges bolshuyu molodie volgari..."
Music: G.Ponomarenko 1954. Singer: Khor kolkhoznoy samodeyatelnosti. Utevsk. r-na, Kuybishevskoy oblasti, pod upr.V.Ya.Kuznetsova. Performed in 1954г. Music: M. Blanter Lyrics: Yu.Dantsiger i D.Dolev 1936. Singer: Ork. i khor im. Glinki p/u V. N. Knushevitskogo. Performed in 1936г. Potomu chto u nas kazhdiy molod seychas V nashey yunoy prekrasnoy strane! "Solntse razgoraetsya v stalinskoy Moskve..."
Music: V. Muradeli Lyrics: E. Iodkovskiy 1954. Singer: T. Verova i A. Mostovenko, T. Verova (f-no) Performed in 1954г. "Dali otkriti i manyat puti, schaste u nas kazhdiy mozhet nayti." Music: S. Tulikov Lyrics: V. Kharitonov Singer: M. Kiselev, Ans. pesni Performed in 1958г. Music: Golts B. 1937. Singer: Fedorova Zoya Performed in 1937г. Music: G. Ponomarenko Lyrics: V. Bokov 1959. Singer: Orenburgskiy RNKh Performed in 1959г. Music: N. Kryukov Lyrics: M. Matusovskiy 1958. Performed in 1958г. "V more chayku obgonyaem mi dalyokuyu..."
"Vsekh razbudim, vsyo dobudem, slovno kolos, nasha radost nalivaetsya!" Music: I. Dunaevskiy Lyrics: V. Lebedev- Kumach 1937. Singer: Ansambl imeni A. V. Aleksandrova Performed in 1956г. 1947. Singer: V.M.Molotov Performed in 1947г. "Today at 4:00 а.м. without any declarations, german forces surprise attacked our country..."
Lyrics: Vyacheslav Mikhaylovich Molotov 1941. Singer: Vyacheslav Mikhaylovich Molotov Performed in 1941г. Music: Vasiliy Agapkin 1939. Singer: dukhovoy orkestr TsSh NKVD p/u V.I. Agapkina. Performed in 1939г. "Dayte mne slovo skazat! Na ves svet prozvuchit moyo materinskoe slovo..."
Lyrics: Viktor Gusev Singer: nar. art. SSSR M.M. Blyumental-Tamarina Performed in 1937г. "Vdali po kursu viden vorog..."
Music: A. Khachaturyan Lyrics: Ya. Rodionov 1943. Singer: A. Pirogov, f-no S.S.Pogrebov Performed in 1943г. "More shumit groznoy volnoy, chayka letit ryadom s kormoy..."
"A mi idem pod severnoy volnoy i v otsekakh prostaya rabota..."
Music: A.Pakhmutova Lyrics: N.Dobronravov i S.Grebennikov 1966. Singer: Eduard Khil. Instr .ansambl. Performed in 1966г. "More zovyot menya, more manit. Slishish kak pleshet ono i poyot?" "Farewell my dear, I go to sea..."
Music: Isaak Dunaevskiy Lyrics: Mikhail Matusovskiy 1954. Singer: Andrey Sokolov. "Morse sound is only tie with other world..."
Music: M. Fradkin Lyrics: M. Plyatskovskiy 1960. Singer: V. Troshin Performed in 1960г. Music: Yu. Milyutin Lyrics: V. Lebedev-Kumach 1942. Singer: KAPPSA, sol. K. Gerasimov Performed in 1954г. "Gvardeytsi sovetskogo flota vsegda i vezde vperedi..."
Music: Yu. Milyutin Lyrics: V. Lebedev-Kumach 1942. "No umchal za prichal milogo zavetniy katerok..."
Music: B. M. Terentev Lyrics: N. G. Flyorov 1943. Singer: Irma Yaunzem Performed in 1948г. "Za svobodu, za schaste, za Rodinu svoyu moryaki srazhalis v pravednom boyu." Music: Anatoliy Svechnikov Lyrics: Boris Paliychuk 1952. Singer: Mikhail Kuznetsov (v roli uchitelya Belova) Performed in 1952г. "Za svobodu, za schaste, za Rodinu svoyu moryaki srazhalis v pravednom boyu..."
Music: Anatoliy Svechnikov Lyrics: Boris Paliychuk 1952. Singer: Mikhail Kuznetsov Performed in 1957г. "I spokoyno betsya serdtse krasnoflottsa, flag sovetskiy vetsya na vetru!" Music: M.Blanter Lyrics: V.Krasnitskiy, V.Tipot 1939. Singer: V.Bunchikov, orkestr p/u G.Fuks-Martina. Performed in 1947г. "Govoryat, chto mi s toboyu posedeli - eto prosto sol morskaya na viskakh"
Music: Sergey Malakhov Lyrics: Aleksandr Shepelev 1965. Singer: Mikhail Riba Performed in 1966г. Music: Yuriy Milyutin Lyrics: E. Dolmatovskiy 1941. Singer: Cheslav Sushkevich, Aleksey Kmit (aktyori) i Pyotr Kirichek v sopr. dzhaz-ork. p/u G. Varsa Performed in 1941г. Music: Frize 1938. Singer: Z. Ya. Abakumov. Royal – V. Frize Performed in 1941г. "Shtorm gulyaet, zavivaet, v periskop volnoyu byot"
"Moryak vrazvalochku soshel na bereg Kak budto on otkril pyatsot amerik..."
Music: A. Ostrovskiy Lyrics: I. Shaferan, M. Tanich 1977. Singer: Eduard Khil Performed in 1977г. "Ne lyudimo nashe more,den inoch shumit ono." Music: K.Vilboa Lyrics: N.Yazikov 1938. Singer: I.Kozlovskiy M.Mikhaylov N.Korolkov(fortepyano). Performed in 1951г. "My dear capital, my Moscow..."
"We are proud of our capital of labour, our beauty - Moscow"
Music: Matvey Blanter Lyrics: Aleksandr Kovalenkov 1948. Singer: Vladimir Nechaev Performed in 1948г. "Russian and Chinese are brothers forever!" Music: V. Muradeli Lyrics: M. Vershinina 1949. Music: V.Muradeli Lyrics: M.Vershinin 1949. "Morning shines with a soft light to the walls of the old Kremlin..."
Music: Dm. i Dan. Pokrass Lyrics: V.Lebedev-Kumach 1937. Singer: A. Sokolov, E.Kibkalo,khor VRK Performed in 1959г. "...And Stalin will raise his hand to greet us..."
Music: Dm. i Dan. Pokrass Lyrics: V.Lebedev-Kumach 1937. Singer: Orkestr NKO SSSR pod upr. S.A. Chernetskogo Performed in 1937г. "Eve in darkness they shine to the oppressed everywhere..."
In 50s this song was often played in trains, entering Moscow in the evening. "...from siberian snows and dniepr steppes came we to you, capital ..."
Music: A. Novikov Lyrics: L. Oshanin 1953. Singer: K. Shulzhenko Performed in 1960г. "...ang Kremlin tower clock are singing for us..."
"A summer evening is looking into the windows..."
Music: M. Blanter Lyrics: A. Kovalenkov 1946. Singer: V. Nechaev Performed in 1948г. "We are awaiting guests near old Kremlin"
Music: Serafim Tulikov. Lyrics: Pyotr Gradov. 1960. Singer: Yu.Elnikov, B.Dobrin i khor VR. Music: V. Muradeli Lyrics: M. Vershinin 1949. Singer: KrAPPSA, sol. K. Gerasimov. Performed in 1950г. "... Sosedi druzhnie, rebyata nuzhnie, oni sumeyut otstoyat svoy dom!..." Music: Matvey Blanter Lyrics: Ilya Fink 1942. Singer: Evgeniy Belyaev Performed in 1969г. Music: M. Blanter Lyrics: A. Kovalenkov 1951. Singer: V. Nechaev Performed in 1951г. "... Moskva, Moskva! Kak molod gorod stariy!..." Music: Sigizmund Kats Lyrics: Naum Labkovskiy 1947. Singer: Vera Vasileva i Vladimir Zakharov Performed in 1949г. Music: M.Blanter Lyrics: A.Kovalenkov 1948. Singer: V.Nechaev, ansambl pesni VRK Performed in 1948г. "... Moskva dlya nas zazhgla ogni..."
Music: Anatoliy Lepin Lyrics: Mikhail Matusovskiy 1961. Singer: Iosif Kobzon i Ulibka Performed in 1961г. "Zdes zhivut moi druzya, i dikhane zataya, v nochnie okna vglyadivayus ya." Music: Tikhon Khrennikov Lyrics: Mikhail Matusovskiy 1956. Singer: Iosif Kobzon Performed in 1973г. Music: Khrennikov Lyrics: Matusovskiy 1956. Singer: Mikhail Novokhizhin. instrum. kvartet Performed in 1961г. "Vot opyat nebes temneet vis..."
Music: T. Khrennikov Lyrics: M. Matusovskiy 1956. Singer: Muslim Magomaev Performed in 1973г. "... Nikogda nigde ne otstupala, nikomu ne klanyalas Moskva! U zamorskikh stran ne zanimala krasoti svoey i masterstva!..." Music: Matvey Blanter Lyrics: Aleksandr Kovalenkov 1948. Singer: Georgiy Vinogradov i zhenskaya gruppa khora VR Performed in 1948г. Music: Lepin A. Lyrics: Fadeeva O. 1946. Singer: Bobrov Oleg Performed in 1946г. "Posmotri, posmotri: vsya Moskva ogney polna." Music: Oskar Feltsman Lyrics: Olga Fadeeva 1959. Singer: Galina Oleynichenko Performed in 1965г. "…v tselom mire net tochney chasov Moskvi moey." 1965. Singer: Tatyana Shmiga Performed in 1965г. 1938. Singer: Ashug Avak Azaryan (penie i saz) Performed in 1938г. "Stalin i Mao slushayut nas..."
"...So vsekh kontsov zemli narod k tebe stremitsya, chtobi uvidet Kreml i Mavzoley..."
Music: A. Ivanov-Kramskoy Lyrics: S. Vasilev 1951. Singer: Ivan Skobtsov. Khor russkoy nar. pesni VRK p/u A. Ivanova-Kramskogo. Performed in 1951г. Music: Dm. i Dan. Pokrass Lyrics: Vasiliy Lebedev-Kumach 1937. Singer: Naum Khromchenko. Khor i orkestr GABT p/u Dm. Pokrass. Performed in 1937г. "Utro krasit nezhnim svetom steni drevnego kremlya..."
Music: Dm. Pokrass i Dan. Pokrass Lyrics: V.Lebedev-Kumach 1937. Singer: V.Selivanov, I.Kanaeva, Dm. Pokrass. Partiya f-no - Dm. Pokrass. Performed in 1972г. "Strana moya, Moskva moya - ti samaya lyubimaya!" Music: Dm. i Dan. Pokrass Lyrics: V. Lebedev-Kumach 1937. Singer: Izolda Grin Performed in 1970г. "Moskva, Moskva moya, Moskva moya krasavitsa"
Music: Serafim Tulikov Lyrics: Petr Gradov 1965. Singer: Yan Kratov, khor VR Performed in 1975г. "Moskva – velikiy gorod, stolitsa vsekh stolits,…"
Music: Iosif Kovner Lyrics: Olga Visotskaya 1938. Singer: Nadezhda Kazantseva i Nina Aleksandriyskaya. Zhenskiy khor p/r A.Krinkina i ork. VRK p/u I.Kovnera. Performed in 1938г. Music: Zinoviy Kompaneets Lyrics: Lev Kondirev 1950. Singer: Aleksandra Yakovenko Performed in 1950г. "... Pereklichka trudovaya po rodnoy idyot strane! Ognevaya, boevaya, nasha molodost v trude!..." Music: Dmitriy Pokrass Lyrics: Boris Yuzhanin 1970. Singer: APP DK ZiL Performed in 1970г. Music: A. Eshpay Lyrics: E. Vinokurov 1958. Singer: M. Bernes, vokalniy ansambl i orkestr studii pod upr. An. Badkhena Performed in 1958г. "My dear land... My spring and my song..."
"...how her son flies in the skies..."
Music: D. Shostakovich Lyrics: E.Dolmatovskiy 1951. Singer: BDKh p/u V.Popova, solist D.Golov, Performed in 1977г. Music: N.Illyutovich Lyrics: L.Kukso 1958. Singer: Petr Kirichek, ork. p/u A.Badkhena Performed in 1958г. Lyrics: Sergey Mikhalkov 1968. Singer: Sergey Mikhalkov Performed in 1968г. "Mi oba zhili, kak umeli,v bede ne pryatali litsa.No tot, kto v zhizni vibral Zeyu,tot Bratsku veren do kontsa...."
Music: A. Pakhmutova Lyrics: N. Dobronravov 1976. Singer: I. Kobzon Performed in 1976г. "Moy kon voronoy, da veter stepnoy, nadezhniy klinok i perekrestya dorog..."
"Novorossiysk - eto more besstrashiya, Gul kononadi nad Maloy zemleyu.... Novorossiysk - eto budni rabochie, Eto gryadushie yasnie zori...."
"Gordost morey, sudbi lyudey, zvezdnie tropi. Slavu morey i korabley svyato khranim..."
Music: N. Bogoslovskiy Lyrics: A. Poperechniy 1975. Singer: VIA Plamya Performed in 1975г. "... Zdes ninche muzika truda i tisyachi ogney, derevya novie shumyat, poyot vesyoliy klub, i v krasnikh galstukakh otryad - rovesnik etikh trub..."
Music: Oskar Sandler Lyrics: Mikhail Svetlov 1963. Singer: Rashid Beybutov Performed in 1963г. "One moy neizvesten vrasnik, koy to v boy pod partiyno to zname smertenik to ze svyat za veshtami (mechtami?)" "Kak dalyoko ti rasprostyor i vershini gor, i gromadi skal, i stepey tsvetnoy uzor..."
Music: E. Stepanov Lyrics: I. Orekhov 1982. Singer: Rabochiy khor russkoy i sovetskoy pesni Chelyabinskogo traktornogo zavoda p/r Evgeniya Stepanova Performed in 1982г. "Mechtat o nedalekom yasnom dne, Kogda nachnutsya puteshestviya v rakete, To samim pervim budet na Lune..."
"... Ya pomnyu viuchku tvoyu - ya navsegda v tvoyom stroyu, i navsegda moya dusha s toboy!..." Music: M.Blanter Lyrics: E.Dolmatovskiy 1942. Singer: V.Nechaev Performed in 1967г. "...Platkom vzmakhnula u vorot moya lyubimaya." Music: M. Blanter Lyrics: E. Dolmatovskiy 1941. Singer: E. Belyaev Performed in 1977г. "Ya ukhodil togda v pokhod, v dalekie kraya..."
Music: M.Blanter Lyrics: E.Dolmatovskiy 1942. Singer: Matvey Blanter. Performed in 1945г. Music: I. Dunaevskiy Lyrics: S. Agranyan, M. Lisyanskiy 1941. Singer: BDKh, solist Sasha Yudenkov Performed in 1982г. Music: I. Dunaevskiy Lyrics: M.Lisyanskiy, S.Agranyan 1941. Singer: V.Ivanovskiy s orkestrom p/u V.N.Knushevitskogo Performed in 1955г. "Dorogaya moya stolitsa,zolotaya moya Moskva..."
Music: Dunaevskiy Lyrics: Lisyanskiy,Agranyan 1941. Singer: L.V.Leshenko Performed in 1983г. Music: I.Dunaevskiy Lyrics: M. Lisyanskiy i A. Agranyan 1941. Singer: ? "Dorogaya moya stolitsa, zolotaya moya Moskva"
Music: I. Dunaevskiy Lyrics: S. Agranyan, M. Lisyanskiy 1941. Singer: Aleksandr Konstantinovich Medvedev Performed in 1986г. "Dorogaya moya stolitsa - zolotaya moya Moskva"
"Dorogaya moya stolitsa, zolotaya moya Moskva." Music: I. Dunaevskiy Lyrics: S. Agranyan, M. Lisyanskiy 1941. Singer: M. Nozhkin Performed in 1975г. "Dorogaya moya stolitsa,zolotaya moya Moskva!..." Music: Isaak Dunaevskiy Lyrics: Mark Lisyanskiy 1941. Singer: Mark Bernes Performed in 1963г. "Dorogaya moya stolitsa, zolotaya moya Moskva.."
Music: I.Dunaevskiy Lyrics: M. Lisyanskiy i A. Agranyan 1941. "Eto prekrasnaya Rodina, vskormivshaya menya zemlya." "Voli nashey slomit ne dano, vyosnam vechno tsvesti suzhdeno!.." Music: Boris Gibalin Lyrics: Grigoriy Varshavskiy 1963. Singer: Gosudarstvenniy Uralskiy russkiy narodniy khor p/r Borisa Gibalina Performed in 1963г. Music: Z. Kompaneets Lyrics: E. Shatunovskiy 1937. Singer: Aleksandr Baturin, khor p/r I. Yukhova i ork. VRK p/u A. Orlova. Performed in 1938г. Music from movie "Curbing fire"
"Gryanul god, prishel chered, Ninche mi v otvete za Rossiyu, za narod i za vsyo na svete." Lyrics: Z. Gerdt i Ya. Grey 1953. Singer: Aleksandr Blekhman i orkestr studii pod upr. An. Badkhena Performed in 1953г. "My addres is not street and house, but entire Soviet Union"
"If enemy will threat land of our fathers..."
Music: A.Abramov. Lyrics: R.Plaksin. 1970. Singer: Ans. im. Aleksandrova Performed in 1970г. "Listen, country - the dream calls us"
Music: Serafim Tulikov Lyrics: Andrey Dostal 1957. "Who was born near sea will love it with its white masts and coastal cities..."
Music: Oskar Feltsman Lyrics: Mikhail Matusovskiy 1958. Singer: Georg Ots Performed in 1958г. "I walk throw wind on your wide streets..."
This song was introduced on Moscow 800-year jubilee. "I'm happy to be your worker, your soldier, Motherland..."
"...i've seen many countries, traveling with my rifle, but Motherland is the best..."
Music: A. Ostrovskiy Lyrics: S .Mikhalkov 1946. Singer: Leonid Utesov Performed in 1946г. "...i'll take care of him, i'll feed him well and he will not tire in a fight..."
Music: Matvey Blanter Lyrics: Pavel Shubin 1940. Singer: Georgiy Vinogradov. Music: P. Akulenko Lyrics: A. Lugin 1939. Singer: Khor i ansambl MVO p/u V. P. Pobedinskogo. Performed in 1939г. "...when i left home for war..."
"...as symbol of peace and freedom the Red Flag shines on the Kremlin..."
"Our great land, our beloved land, where we were born and where we live, we call our Motherland..."
"...we won't let lords and fascists to stop our growing country..."
"I cannot live without you..."
Music: Gennadiy Gladkov Lyrics: Mariya Pototskaya 1978. Singer: Leonid Serebryanikov Performed in 1978г.